Save money and improve the environment by greening your trips to class and work. Evergreen makes it easier for you to choose alternatives to driving alone. Intercity Transit runs two routes to campus, with service every 15 minutes most of the day. The Nightline service runs between downtown and campus on weekends during the school year. Students ride free with a current student ID and sticker. Employees can get a STAR pass to ride free too. 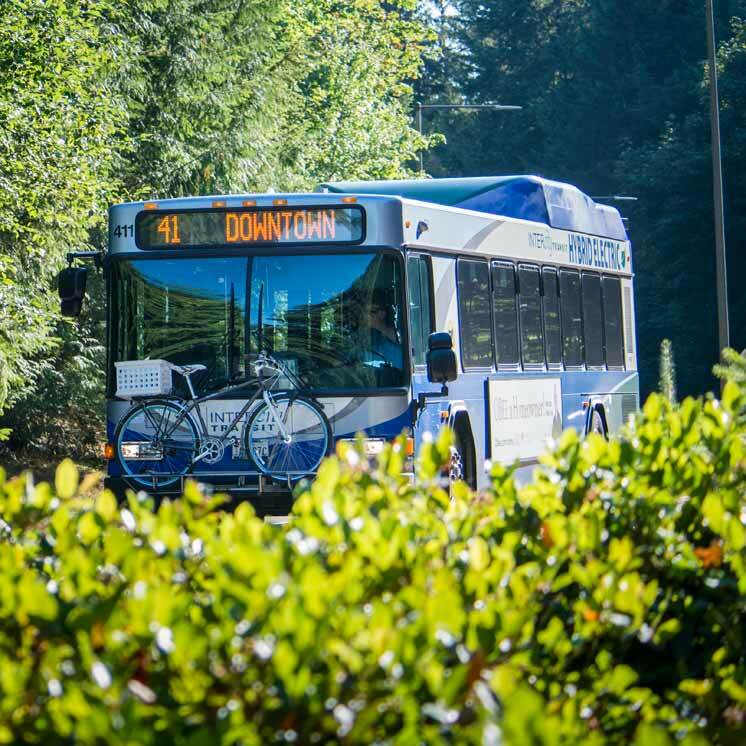 Learn more about taking the bus to Evergreen. Use rideshareonline.com to find a carpool or vanpool. Preferential parking is available for carpools; visit Parking Services for more information. Find out how to get your carpool or vanpool registered at Evergreen. Washington state employers are required to help reduce the number of vehicles driven to work or school, especially single-occupancy vehicles. Commute Trip Reduction includes improved travel options (like bicycle and bus) and alternative work schedules and telecommuting.